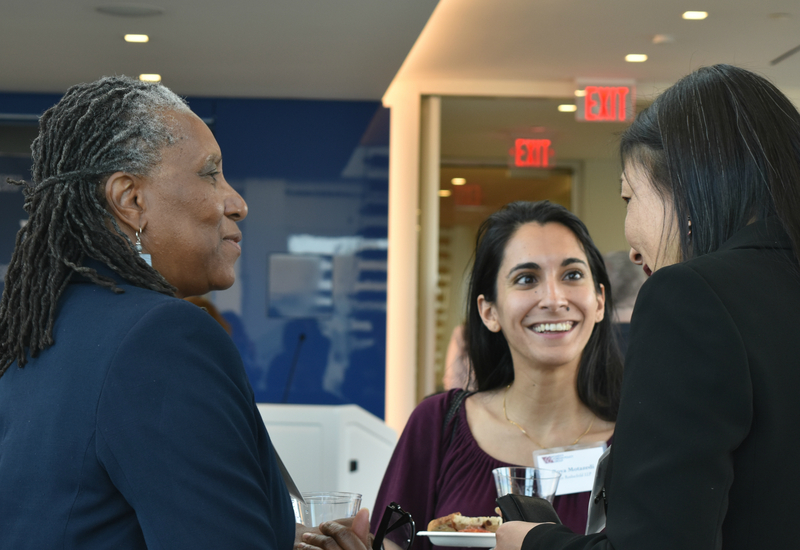 WFPG distributes articles, newsletters and reports to further elevate the voices of our women speakers and expand the foreign policy dialogue by sharing their insights with members, partners, and the public at large. WFPG also publishes a Guide to Women Leaders to highlight the growing number of women leaders worldwide. All of our publications are available electronically. Join our mailing list to be notified of publication releases. It is critical that we recognize the women who have lead the way and understand how far we still have to go. 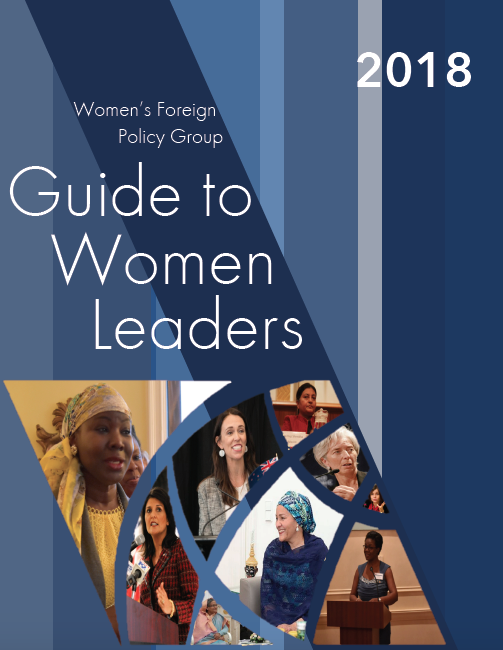 The WFPG's Guide to Women Leaders highlights women shaping foreign policy around the world and the role that they play as leaders, diplomats, and policymakers. The Guide provides an index of prominent women from across the international community, including heads of state and government, government ministers and diplomats, and leaders of international organizations and corporations. This free publication is available online and is distributed to our members and partners. In celebration of International Women’s Day and Black History Month, the Women's Foreign Policy Group honored African-American Women Trailblazers in Foreign Policy. This guide highlights the contributions of African-American women to international affairs and as role models who paved the way for aspiring women leaders. 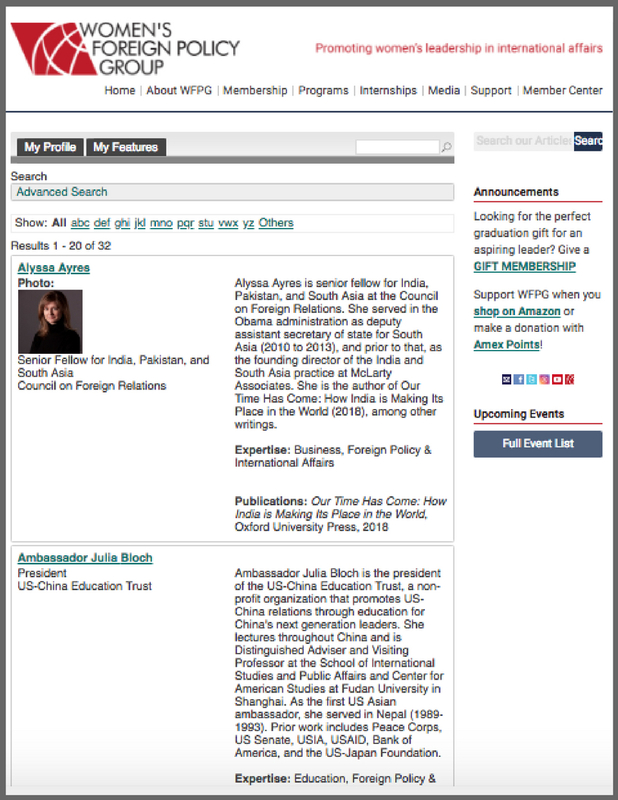 The WFPG Membership Directory allows members to engage and connect with one another and view each other's biographies and expertise. Members who choose to be listed in the directory can select which sections of their profiles they wish to share with other members. If contact information is not listed, WFPG will be happy to forward a message on to any of our listed members. To view the directory, log into your WFPG account, then hover over the Member Center tab on the top right of the homepage and select Directory. The Directory is available exclusively to WFPG members.